What's happening around town? We'd love to hear what you're doing, and help spread the word! Contact us about your upcoming art shows and events. Find SugarHill Works on Facebook or follow us on Twitter. Share this page via any networking service. Subscribe to The SugarHill Post for news and special deals. While we work on our website transition, please check out & "Like" the SugarHill Works facebook page for the latest news about our clients and more. We've had an amazingly busy few years — expanding our custom archival pigment printing and fine art scanning services, and streamlining custom websites builds. So, the planned revamp of this News page is taking a bit longer than anticipated. We look forward to relaunching our updated website soon! We're grateful to work with such diverse and talented artists, photographers, and entrepreneurs; the new site will feature an interactive gallery/blog to showcase our clients' creative work and post upcoming events. While this News section is on hiatus, please keep in touch via the SugarHill Works facebook page or contact us with your news or inquiries. 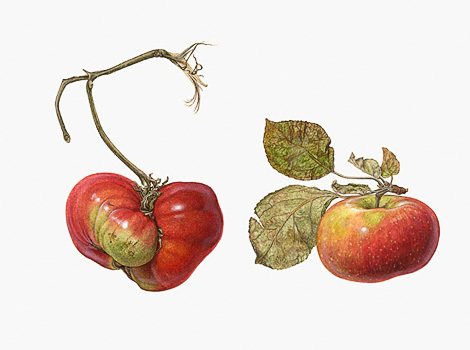 Asuka Hishiki, An Accidental ResemblanceAn Apple and a Tomato (Malus domestica and Solanum lycopersicum), 2011, watercolor on paper, dimensions life-sized. A Window on Nature: Art of Asuka Hishiki, an exhibition of over 35 watercolors illustrating a poetic and detailed observation of plants and insects, is on view at the Arsenal Gallery in Central Park from April 26 - June 6. The show includes Asuka's portraits of tomatoes and vegetables from New York City's celebrated Greenmarkets and her imaginative plant-like insects from her Association of Type B metamorphosis Entomologists (ATBE) series. Photography and video have since become the norm in nature documentation—recording species faster and more accurately than painters. However, Hishiki wonders if they record her subjects as she sees them. Cameras have one fixed, instantaneous vision, yet she notes that people need time to see an object. Painters have multiple viewpoints and time to study and reflect on their subjects, selectively capturing details. Hishiki displays her paintings on stark white paper that suggest the form of collection boxes with the hope that others will see as much beauty and invest the time in her specimens as she does. A native of Kyoto, Japan, artist Asuka Hishiki received her Bachelor of Fine Arts (1995) and her Master of Fine Arts in Painting (1997) at Kyoto City University of Arts. Hishiki is a member of the Society of Botanical Artists and has exhibited in their annual exhibition at the Horticultural Society of New York since 2009. Hishiki has also exhibited at the Southampton Cultural Center, Southampton, New York; the South Australia Museum, Adelaide, Australia; The New York Botanical Garden, Bronx, New York; Hunterdon Art Museum, Clinton, New Jersey; and the New York State Museum, Albany, New York. 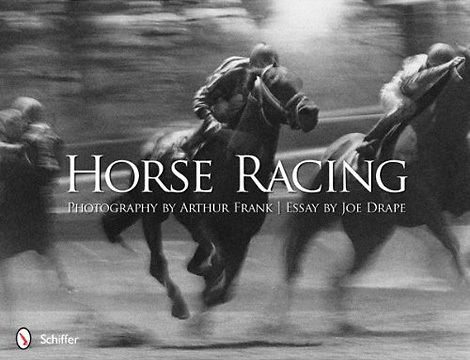 We loved scanning the images for Arthur Frank's new book, Horse Racing. Arthur's enthusiasm is contagious, and his exuberant personality made the project all the more fun. After the digital files were all sent to the publisher, we were happy to make large-format archival giclée pigment prints for Arthur's book launch exhibition. Hardcover book available through Schiffer Books. Black & white and color archival giclée prints available; contact us for details. 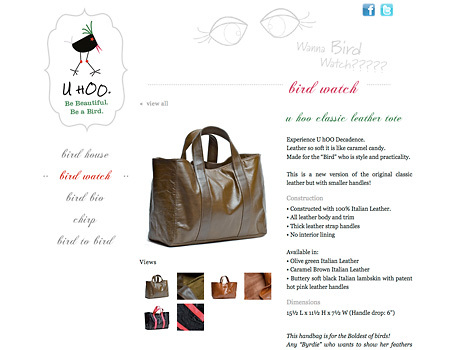 U hOO Birds leather handbags designed by Erin Straine, made locally in NYC. Designer Erin Straine wanted a playful, kitschy site to showcase her U hOO Birds brand of locally made handbags and accessories. The custom uhoobirds.com site represents our newest generation of sites built with Wordpress, to be flexible, SEO-friendly, and easily self-updatable. We teamed up with Onward Design for the site design and a fresh logo, and made custom animations using original drawings by Erin. Her passion and excitement is contagious; everyone had fun collaborating on this project to bring the U hOO Birds colorful, quirky style to life online. Plus, we're happy to support a local small business committed to fair labor products: all U hOO handbags are made right here in New York City's Fashion District. Jan 2012 | SOPA/PIPA - Tell Congress: Don't Break the Internet! On January 24th, our Congress will vote on the latest versions of the internet censorship bills known as SOPA/PIPA. Please watch the short video or see this infographic to see how the laws in question will affect you. Then make your voice heard - contact your representatives and ask them to vote NO! As artists and creatives, we depend on an open and independent internet. These bills will limit our rights of free expression and allow the biggest players, our government and large corporations, to block access to any site featuring any content they don't like. The dangerous scope of these laws puts the burden of proof on the website owner; sites can be shut down based on accusations alone. Plus, messing with DNS, the foundation of the internet, will destabilize the web and make it less secure. First test print on newly installed 44" printer! Print image by Allison Michael Orenstein. We're expanding our fine art and photographic printing services! 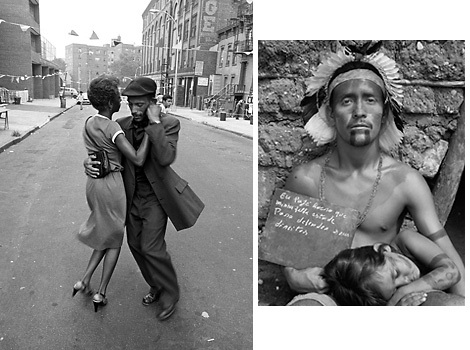 SugarHill now makes exhibition-sized archival giclée prints from our new large format printer! Plus, we're offering a wider selection of fine art papers. 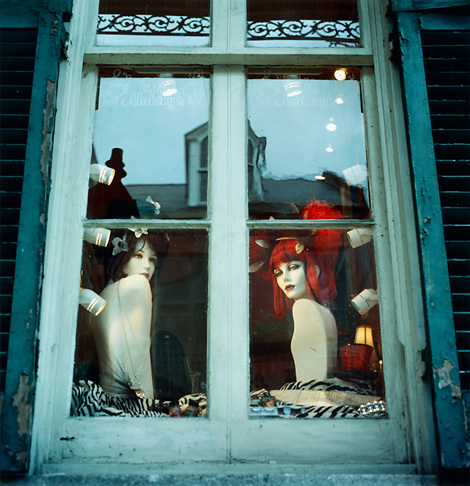 Please see our new pricelist for pro film and fine art scans and archival giclée prints. We've simplified our scanning pricelist to make choosing the right scans for your needs even easier, and we've lowered our prices for additional prints and editions (10 or more) of the same image. Ask about bulk discounts. Special 10% OFF discounts on prints for scanning clients, or scans for prints! Giclée prints, also known as archival pigment prints or archival inkjet prints, are becoming the new standard for fine art reproduction and photographic printing because of their exceptional quality and longevity. Our ultra-high-resolution printer uses the finest archival HDR Ultrachrome inks, for the widest possible color gamut, and can produce prints up to 44" wide (by any length). Choose from a variety of acid-free archival fine art papers or high quality photobase papers. Personalized service and distinctive work is our specialty. We take pride in making quality archival pigment prints for the most discerning artists and galleries. Combining our background in fine art with years of experience printing in photo darkrooms, we make custom color adjustments and fine tune each image. We'll work closely with you and make proof prints as needed. Our color-managed workflow ensures that colors are accurately reproduced. 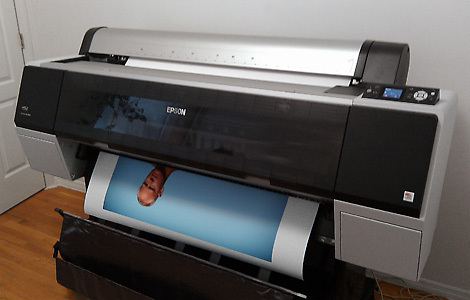 We carefully match your prints to your digital images viewed on our calibrated* Eizo monitors, or to the original artwork or sample print provided by you. Want to see for yourself? We'll make you a test print. Contact us for an estimate. The News page is on temporary leave, while we focus our efforts on building our new site. Please visit our facebook page for postings of art shows and events. Look forward to the launch of the updated sugarhillworks.com site in 2012! Our new site will feature an interactive News blog, where we'll resume posting our clients' work and events. We have a backlog of artwork and new custom sites to showcase! We really enjoyed collaborating with John Mack on his Revealing Mexico book and website project for the bicentennial celebration events last fall (see News), and we're proud of our work (and flattered by John's feedback)! 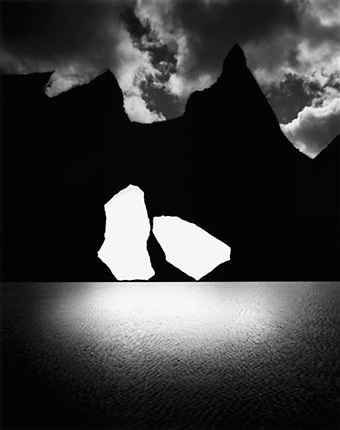 So we're especially excited for John's photography show, featuring the original b/w prints. Preview and purchase the book online; custom site by SugarHill Works! Kate Davis Caldwell, Flux, oil on canvas, 58" x 36", Everything is Everything series, 2011. We're excited to announce the launch of Kate Davis Caldwell's new custom artist portfolio site, showcasing her gorgeous paintings and drawings! Working with Kate has been great, with fruitful collaboration and idea-sharing throughout her site's development. in Boston's historic Fort Point neighborhood. Click to view full text of above flyer. Adarsh Alphons projects and Asya Geisberg Gallery are proud to present Project Exhibition 2, the second installment of art work created through the unique vision-based education method by students at the Adarsh Alphons Projects. Marking its first full year in operation, this exhibition features art work from over 25 emerging young student artists, created in our Harlem space, and from our partnership with Fresh Air Fund. The art works in the exhibition are for sale. All sales proceeds go directly to the artist who created it. SugarHill Works attended the first exhibition of these young student artists, where we were inspired by the kids' enthusiasm and impressed by their perceptive vision of the world (in need of real-life superheroes)! Check out this piece from Davon's Good People figure series, hangin' with the elephants in our new studio-office HQ. Adarsh Alphons Projects Inc. is a full-scholarship, after-school and weekend visual arts education program for middle and high school art students. It is an invitation to the creative youth of New York to explore art in a bold and unique way. This awesome *free* art school for kids provides weekly project-based art classes. The project work is multi-dimensional, the classes are taught by both professional and resident artists from all over the world. Classes will culminate each year in project-based student work on display around the city - and the world – in both group and solo exhibitions as well as public art projects that are interactive and site-specific. To find out more, go to adarshalphonsprojects.org or visit the facebook page. 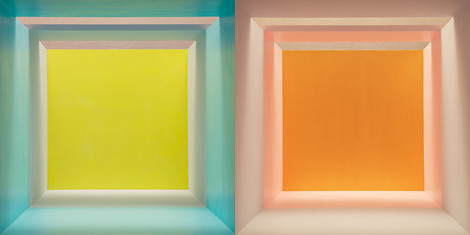 © 2011 Erin O'Keefe. Color light boxes, 24" x 24" giclée prints. "I was exploring the interaction of color and light - thinking about color as a spatial phenomenon..."
We couldn't think of our own words to describe the enchanting "reverse trompe l'oeil" effect of staring into Erin's large giclée prints, a 2D representation of her light box sculptures. But we love the play of color, light, and space! "My work operates in the terrain between two dimensional representation and three dimensional space. My photographs examine space and place. 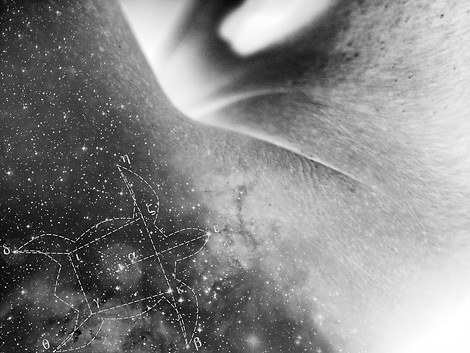 I understand space as an objective formal construct; a phenomenon of light and vision..."
Visit erinokeefe.com to see more of Erin's amazing work. Need a creative rep? Working with Paata Stanley is easy, with his consistently upbeat attitude, proactive and practical approach, prompt professional follow-up, and genuine enthusiasm for his creative clients. As a small business partner, we especially value PSM's ability to network with a diverse team of people and resources, and dependably manage all details of a project. Plus, Paata is honest, straightforward and fair, so everyone on the team benefits. Paata Stanley Management's mission is "to provide the best management assets to my creative clients. My goal is to increase the visibility in the marketplace for my clients and strengthen their career profile. Having my clients reach their professional goals is my only focus. Using my contacts in the media industry I will put my clients in front of potential business opportunities they were not open to before." Cheers to this fellow small business! 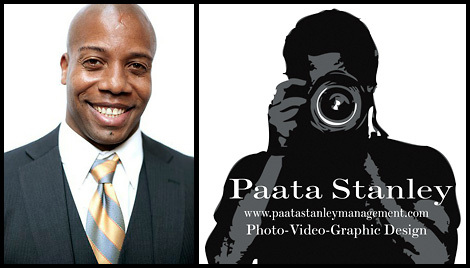 For management services and advice, contact Paata via paatastanleymanagement.com, and check out his clients' work on the PSM Facebook page. Amy Garas, painting from Lembranças, A Recollection series. Lembranças (keepsake or souvenir in Portuguese) ~ A Recollection features artist Amy Garas' latest series of colorful, intricate paintings. Jasmine & Nicole, photos by Yannique Hall. Yannique Hall's photo series Jasmine & Nicole is a memento of two close friends, photographed over a four-year period from 2007-2010, revealing intimate moments with sensual color and texture. 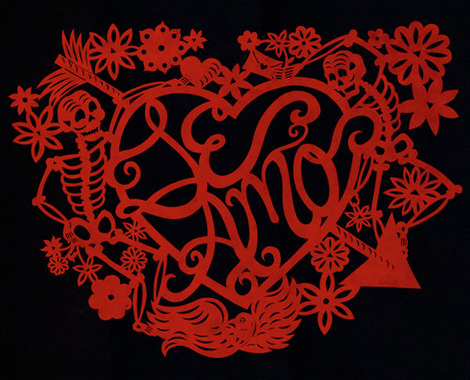 Heart Milagro and Hand Milagro, papel picado - cut paper, 5x7 giclée print cards. Kai Margarida-Ramírez de Arellano is a Puerto Rican-born and New Mexico-raised 5th generation artist. Her work fuses pop-culture, political subject matter, and a passion for mixed media. Kai's irreverent medium of choice is the Mexican tradition of Papel Picado, or cut paper. 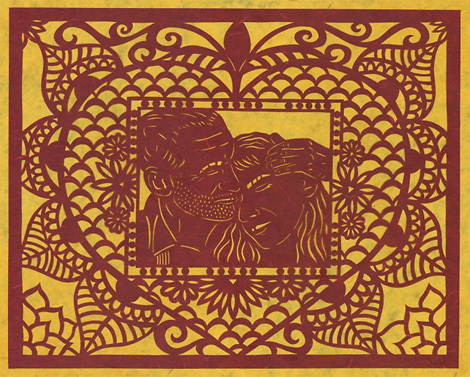 We love and covet these intricate pieces, so when Kai approached SugarHill Works about reproducing some of the scanned originals as greeting cards, we all agreed it was a great idea! The resulting giclée printed cards look fantastic, and will be for sale at Kai's upcoming shows and events. Open Call for Art: Intersecting Identities, an exhibition open to all self-identified women artists in New York. See more info here (PDF). 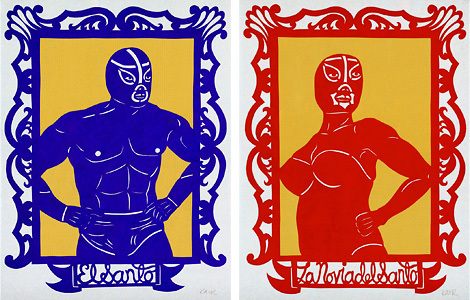 El Santo and El Novia del Santo, papel picado - cut paper, 5x7 giclée print cards. Contact Kai Margarida-Ramírez de Arellano via kaicita.com. Sweet treats: birthday cheesecake pie. 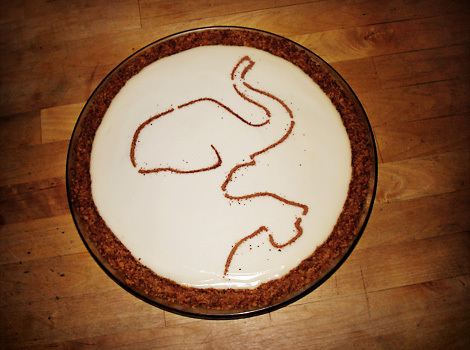 So fun making the elephant, we forgot the candles. Happy New Year! We recently celebrated SugarHill Works' 4th birthday, marking another year of continued growth. We're proud of what we do, and we're thrilled that your feedback shows what a difference personal attention and extra effort can make! We'd like to thank you, our clients, for making 2010 a great year! Business is good, and we're looking forward to an exciting 2011 with lots of new changes. The first is that Jenny Burgos will be changing her role from business partner to freelancer as she explores new interests and opportunities. Scanning clients: fret not! Under the direction of partners Dan Weisser and Ciel Mahoney, each with 10+ years experience in photography, SugarHill Works will continue providing the same great scans, prints and personal service you've come to expect. In fact, Jenny will be working closely with us to maintain standards, consistency, and make the transition seamless. We've also got big plans for the new year, including expanding our scanning and giclée printing services, hiring qualified freelancers, and more. Look for more details and updates in the next SugarHill Post newsletter! Subscribe to our newsletter, The SugarHill Post, for news and deals. Aquaculture farm for growing tilapia, in-progress. Limbé, Haiti, 2011. 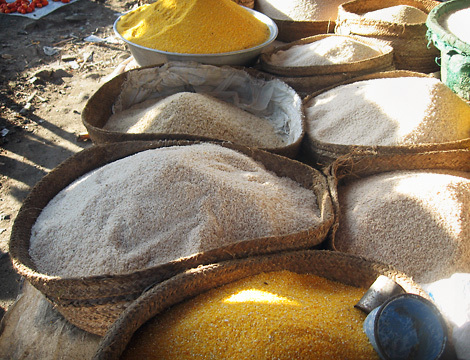 Six current Noramise projects include development of an aquaculture farm for growing tilapia to improve the protein-deficient diet, plus projects in waste management, permaculture, education, facility construction, and microlending. Please visit noramise.org - be informed and get involved! 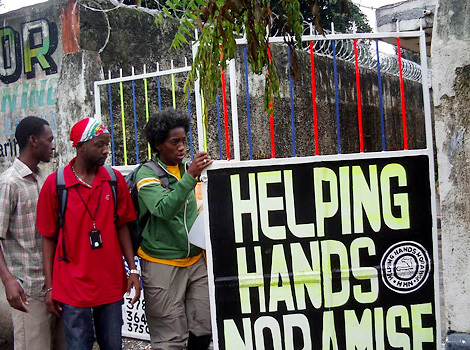 Rosedanie Cadet, entrance to Helping Hands Noramise center in Limbé, Haiti, 2010. Rosedanie Cadet founded Helping Hands Noramise, a 501(c)(3) nonprofit service program focused on rebuilding issues and sustainable development in Limbé, Haiti, as a response to the urgent need for sustainable food production and jobs. Since the big earthquake last January, "Coach" Rosedanie has mobilized a network of HHN volunteers, contributing to significant, tangible progress on the ground in Haiti. SugarHill Works is happy to help out by donating a website and web support, enabling Noramise to spread the word and to accept donations online*. The key to HHN's work is this: as each team member learns a new technique, they have to teach it to the next person, ensuring that everyone really understands the new process and empowering them to reach even more people. For more info, visit noramise.org. Thank you! * Tax-deductible. 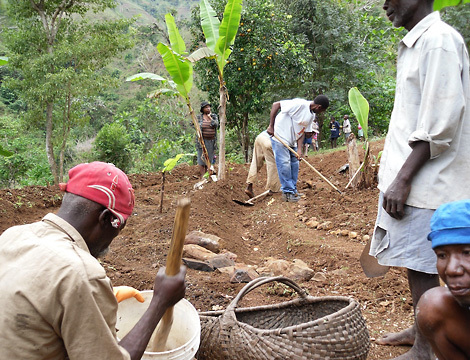 Your contributions go directly to empower the Haitian people, and every dollar counts. All HHN administration work is done by volunteers. Images from The Light Remains, 2009. © Jon Plasse. Jon Plasse is surprisingly unlike our stereotype of a highly successful New York lawyer. His warm personality comes through in his subtle, elegant, poetic photographs. Jon's projects focus on remembering a special time, place or experience — often represented by personal loss, excitement or mystery. 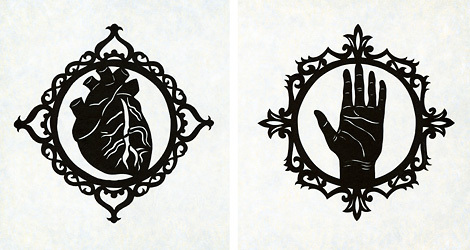 Our favorite series is published in his book The Light Remains (2009). Jon took photographs of his ageing mother and her home in Long Island, over a four year period. The collection of portraits and images of personal mementos tells an intimate story. Silver gelatin prints, by Kelton Labs, are available upon request. After working with SugarHill on scans for his upcoming book of the old Yankee Stadium, Jon was ready for a new website. We collaborated with Jon's book designer, Andy Jacobson, to create a simple, clean, and uncluttered site. To view and purchase books and prints, visit jonplasse.com. 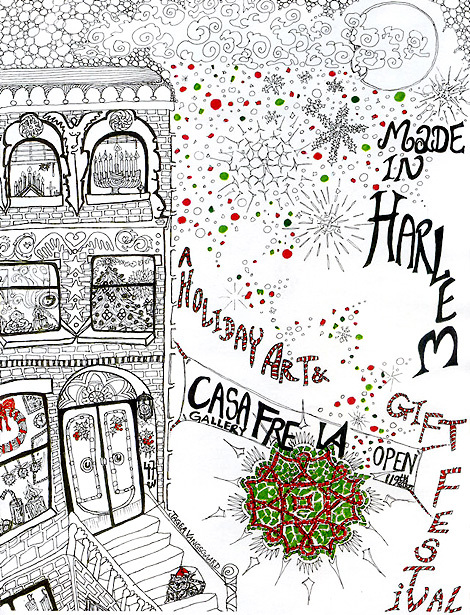 Made in Harlem 2010, image courtesy of Lawrence Rodriguez and Casa Frela Gallery. The Made in Harlem Art & Gift Festival, held at Casa Frela Gallery, will feature 23 local artisans whose work is chosen especially with holiday shoppers in mind. You'll find a wide range of special one-of-a-kind gifts and art including handcrafted jewelry, porcelain ornaments, hand-bound journals, colorful textiles, printed t-shirts, handmade quilts, guide books, holiday décor and much more, making this festival a gift buyers delight. Enjoy your holiday shopping at a leisurely pace and support local artists and small businesses! For more info, a complete list of the artists and artist bios, visit casafrela.com. 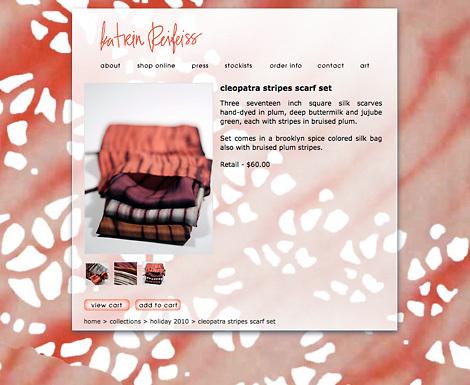 Cleopatra Stripes Scarf Set, Katrin Reifeiss Holiday 2010 Collection. Katrin Reifeiss' one-of-a-kind site reflects the vibrant colors and subtle textures of her unique hand-dyed silk fashions line, Designs by Katrin Reifeiss. We've just updated the site with her new Holiday 2010 collection, plus a revamped design to compliment Katrin's evolving style. These gorgeous silk scarves for the winter season are available for purchase via custom PayPal e-commerce pages. Looking for a special gift? Share the love and support local artists... we really appreciate it! 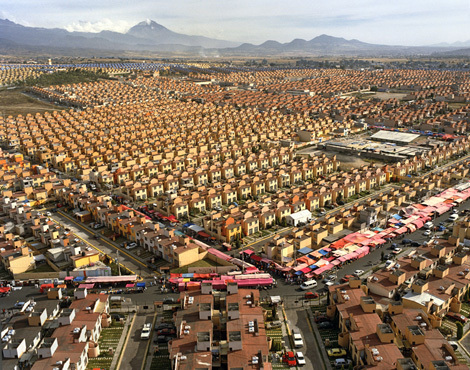 Excerpts from Revealing Mexico, 2010. 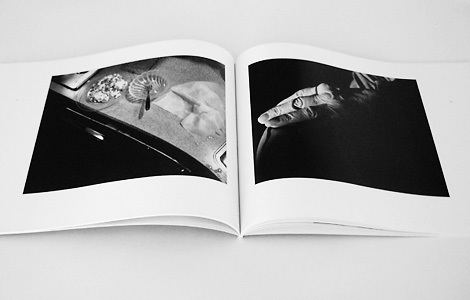 Photographs by John Mack, text by Susanne Steines. An installation featuring photographs from the book, just released in September, will be on view during the Revealing Mexico Week celebration events at Rockefeller Center from October 25th-31st. We're flattered that John trusted SugarHill Works to collaborate on this project and we're proud of our work: high-res b/w scans for the book and installation, giclée prints of the photographs, and a custom website featuring a full preview of the book and the official press page for the big event. The idea behind Revealing Mexico is to present an honest image of Mexico, especially relevant in the context of current news and stereotypes. We like the book's pairing of portraits with conversational interviews of people across the full socioeconomic spectrum of modern Mexico. © 2009 Diane Cherr, Pomegranate Tree. Gouache on paper, 12" circle. 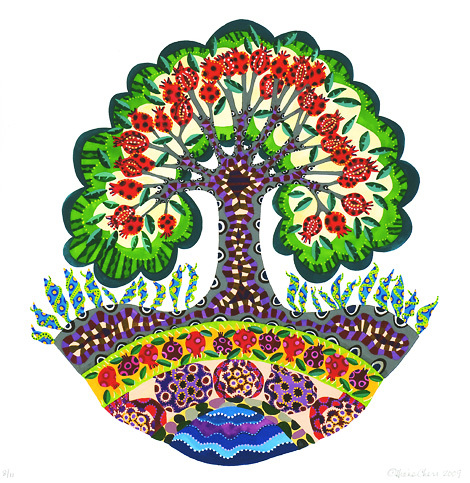 We recently launched a portfolio site for Diane Cherr, an artist and educator. Her colorful narrative paintings explore mythology, iconography and Jewish heritage. She also works as an art teacher, artist in residence, and specializes in teaching students portfolio prep for college admission. Visualizing and presenting her artwork online posed a challenge to Diane, who prefers analog over digital mediums. We worked with her through each aspect of the site development process, from creating a custom design (using scans of her favorite paper stock), to retouching old image files to bring out the vibrant color in her paintings, to using the new beta SugarHill Works Gallery Updater to edit the site's galleries. We were happy that Diane, a self-described "non-techy", found the Updater interface easy to use! But the biggest reward came when the site was finally launched live, and Diane was so excited she cried with joy! Wow, did we feel accomplished! Original paintings, giclée prints, greeting cards, and commissions are available; see more at dianecherr.com. Kai Margarida-Ramirez de Arellano is a Puerto Rican-born and New Mexico-raised 5th generation artist. Her work fuses pop-culture, political subject matter, and a passion for mixed media. Kai's irreverent medium of choice is the Mexican tradition of Papel Picado, or cut paper. This folk art is influenced by an eclectic history of (New) Mexican and Chinese origins, while foreshadowing the language of stencil art. Space on White : Create. Collaborate. Inspire. SugarHill was so intrigued by the papel picado series, we interviewed Kai while working on her scans. She kindly wrote down her responses. See the SugarHill News exclusive Artist Vigette here...! I went to school at the University of New Mexico, but I didn't study art. I did a double major in Sociology and Women Studies. I studied art in high school but didn't pursue it as a major in college. My focus during college, however, always remained on art as a vehicle for social change. I started cutting paper during a workshop with a Papel Picado master, Catalina Delgado Trunk. I had seen her work before and thought it would be fun to learn. But I had been doing mixed media and collage since childhood. The largest piece I've made so far is 23" X 22 1/4". I have a lot of ideas of bigger, more complicated pieces and I want to combine more colors and mixed media into my work. I am limited right now because I don't have a studio to work in and I have no room in my apartment to go any bigger. I am applying for Residencies and will hopefully be able to dedicate more time and energy to realize these ideas. My mother calls me a Renaissance woman because I love all things creative. I studied West African dance for 6 years and was part of two dance troupes in Albuquerque, New Mexico. Dancing makes me the happiest of any art form. I used to paint and do ceramics and photography also, but I haven't in years. I'd love to get back into it. I also played the piano for 6 years, love to knit scarves (although I don't know how to knit anything else and am dying to learn! ), and can bake an awesome coffee cake. Faces in the Rubble series. Join us for Summer Fiesta 2010, a cocktail party to benefit En Foco, a non-profit dedicated to cultural diversity in photography. Support artists often overlooked by the mainstream art world. Bring a friend and share in celebrating En Foco's 35 year legacy! Purchase a limited edition Martín Weber print, bid on prints in the Silent Auction, or purchase prints from the Print Collectors Program. All the money raised goes towards the cost of having exhibitions, printing a magazine, hosting free workshops, and all of the other great things En Foco does. 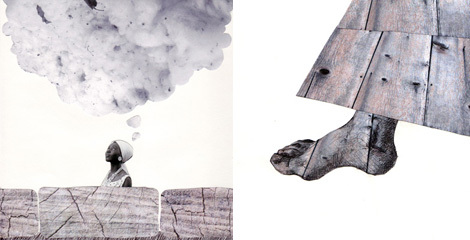 For more info and a preview of silent auction prints, see En Foco's blog. They Don't Make 'Em Like This Anymore. #11 of A Very Long Year series. Read the story. 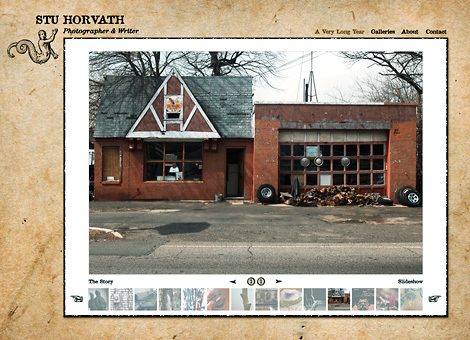 Stu Horvath's new custom portfolio site features his A Very Long Year project, in which he posts a single photo each day, accompanied by a story. To allow Stu to easily add images and text to the gallery, we built the site using the beta SugarHill Works Portfolio Updater interface. We're all quite happy with it! Check out A Very Long Year and more at stuhorvath.com! Follow Stu on Twitter @StuHorvath, keyword #photooftheday. Click here to see larger version of postcard. Nancy Siesel is one of SugarHill's earliest scan and giclée print clients, as well as a Pulitzer Prize-winning photojournalist, former staff photographer for the New York Times, and two-time New York Foundation of the Arts fellowship recipient. 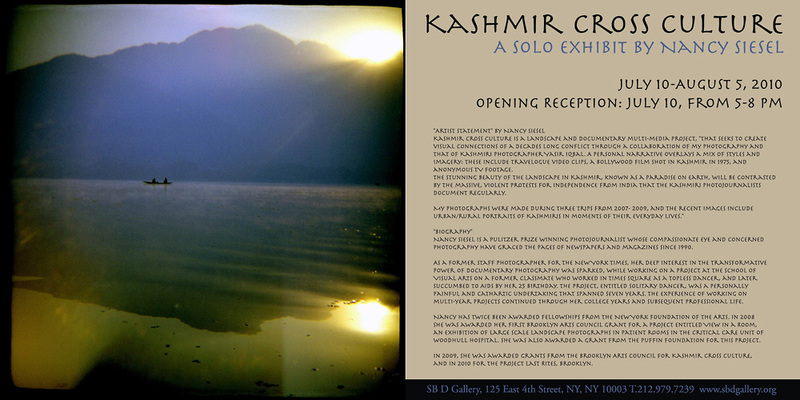 The work in her upcoming solo show, Kashmir Cross Culture, was awarded a 2009 grant from the Brooklyn Arts Council. 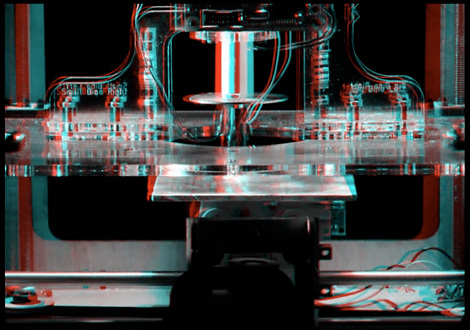 Stereoscopic 3D timelapse video by Josh Klatt. We recently launched a brand new site for Josh Klatt Stereography! His custom site features 3D photo and video galleries with multiple viewing modes. Josh works with clients who are exploiting "S-3D" experiences for advertising, education, fashion and entertainment. He also produces a bi-monthly TV show  NYC's only stereoscopic 3D TV show since 2008! Don't forget to click through to his blog for discussion, critique, and celebration of all things stereoscopic 3D, plus a link to get your own free 3D glasses! 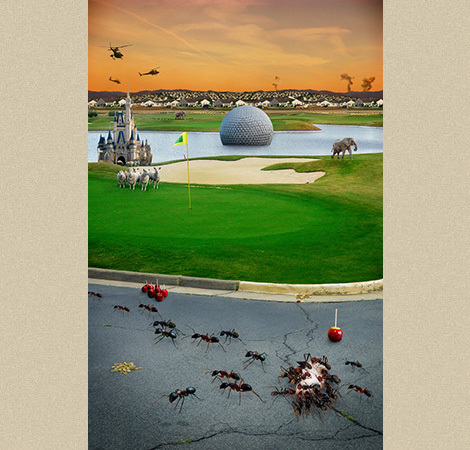 Check out Josh's 3D work, plus his 2D photography of NYC scenes and characters at joshklatt.com. Click here to see larger version of poster. SugarHill Works designer Tan-ya Gerrodette has been selected to participate in the juried exhibition If Not Now, When. Presented in conjunction with Still Present Pasts, the show is a call for and consideration of peace, social justice, and non-violent resistance. Congratulations, Tan-ya! 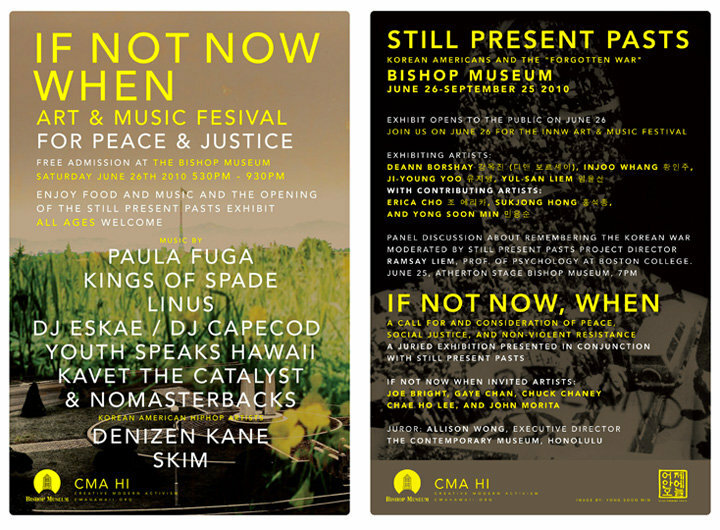 For more info go to cmahawaii.org. 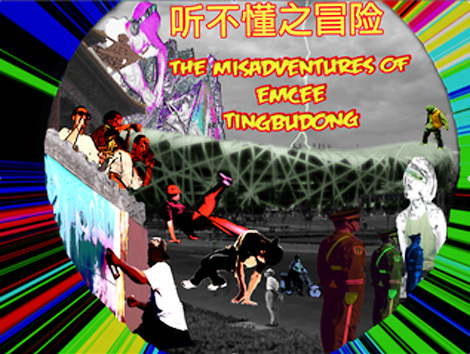 Azucarera Gallery presents 2008 Fulbright Scholar Jamel Mims' recent series on hip-hop culture in Beijing, China, The Misadventures of MC Tingbudong. The multimedia exhibition is the result of a year-long study as a social documentarian living in Beijing's hip-hop community. The project is built on living and participating with practitioners of hip hop culture in Beijing, who demonstrate its four pillars of cultural expression: emceeing, break dancing, DJing, and graffiti. For gallery hours, contact nova@azucareranyc.com. 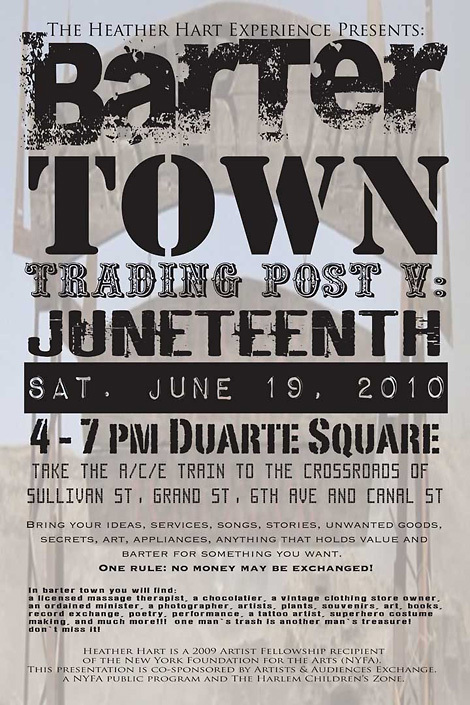 The Heather Hart Experience presents the fifth installment of Hart's Trading Post projects, Barter Town. Participants are invited to bring their ideas, services, songs, stories, unwanted goods, canned goods, handmade art, appliances, anything they think may hold value and haggle for something that they want. Heather Hart is a 2009 Artist Fellowship recipient of the New York Foundation for the Arts (NYFA). This presentation is co-sponsored by Artists & Audiences Exchange, a NYFA public program and Harlem Children's Zone. Bring something to trade! See complete info on the event page. 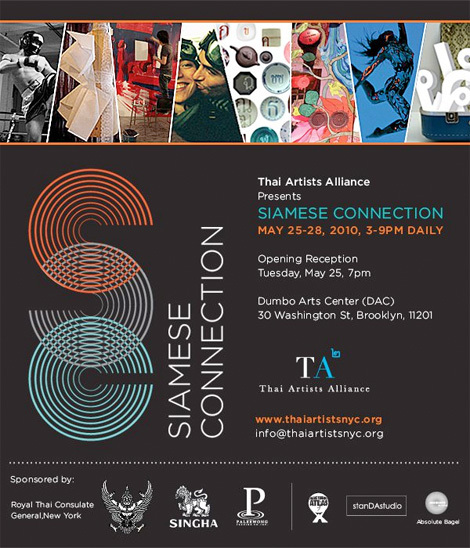 Thai Artists Alliance presents Siamese Connection, a four day multi-disciplinary exhibition. The event will showcase nearly 30 emerging Thai artists based in New York who will be working individually and collaboratively in fine art, design, photography, film and dance. Program highlights include live music performances and special events daily. Filmmaker Apitchatpong Weerasethakul's recent Palme d'Or win at Cannes is just one indication of the work and talent emerging from Thailand and the Thai diaspora; don't miss this rare opportunity to experience it for yourself! 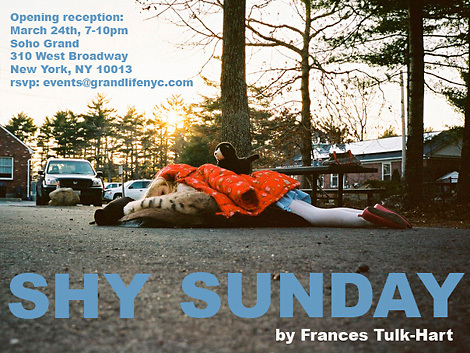 For more information and to register for free entry, visit: ThaiArtistsNYC.org. Karen Garrett de Luna's graduate photography show recently opened at the Emily Carr University of Art + Design in Vancouver, BC. 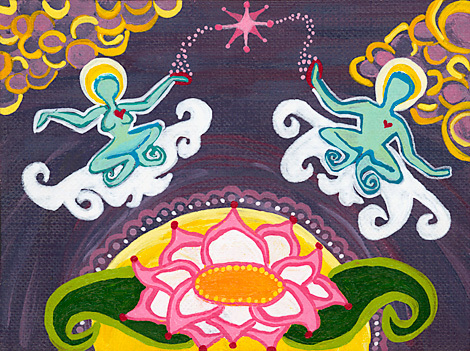 The luminescent images in her new Heavenly Bodies series are gorgeous! This exhibition unites the sculptural and installation work of Francis Cape with photographic projects by Paul Kennedy. Paul and Francis share overlapping interests in the historical, social and economic spaces of architecture. 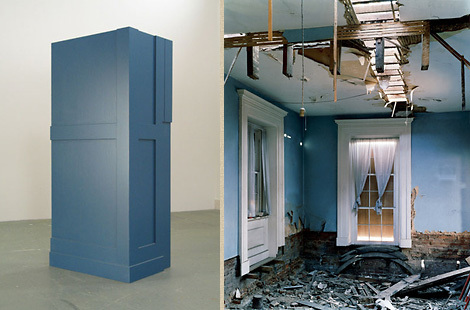 In their newer works, both artists' work documents a specific location — Paul's family home in East Tennessee, and Francis' current residence in Sullivan County, NY. Paul's recent book, The end of the day, published in 2009, is a collection of these photographs of the old home in Tennessee. SugarHill scanned the original 4x5 negatives for the book, and worked closely with Paul to fine-tune the color to his precise specifications. See more in our News Archive. I Can See Right Through It, 2010. Gold-toned silver gelatin print, 16x20 inches. Chuck Kelton, master black and white printer, is owner of Kelton Labs, a first-class darkroom known for outstanding b/w services. We're proud that Chuck trusts SugarHill Works to meet his clients' scanning needs. 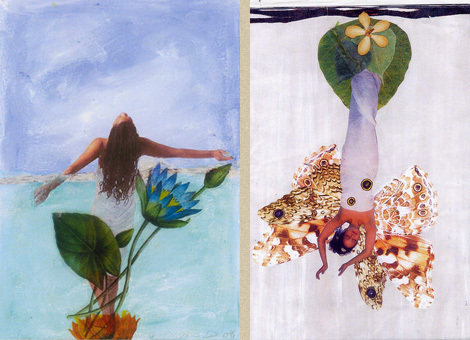 Contemporary Photography in Hawaiʻi 2010, the 2nd Annual Statewide Survey Exhibition, features a photo by Tan-ya Gerrodette, graphic designer at SugarHill Works. The show is sponsored by the University of Hawai'i at Manoa Pacific New Media and was juried by Jerry Omo and David Ulrich. 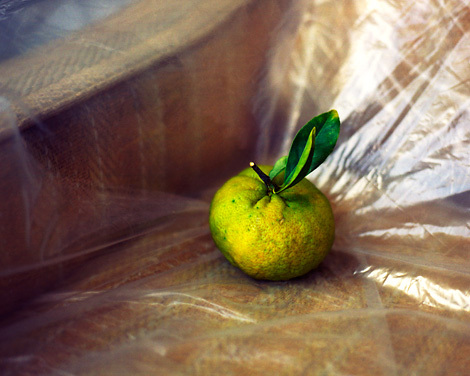 This group show offers artists who use photographic processes a venue for exhibiting work and provides a snapshot of the state of the art of photography in Hawai'i. Frances Tulk-Hart, originally from London, has worked in NYC for over a decade as a fashion stylist for high-profile magazines. Since she decided to start shooting as well, Frances often ends up being both stylist and photographer on the set. Frances started bringing her negatives to us for custom scans and prints shortly after we founded SugarHill Works, and we've enjoyed getting to know her photographic work for a couple years now. We first discovered Clymenza Hawkins' work at the Harlem Open Artist Studio Tour (HOAST) last fall, and were immediately captivated by the lovely images. We like how she combines painting with collage and photomontage, draws inspiration from mythology, faerie/folktales and music, and blends cross cultural references with a modern spin. Scanning her original artworks is a real treat! See new pieces by Clymenza in a show at Azucarera, an artist run gallery in the historic Sugar Hill neighborhood of Harlem, NYC (right around the corner from SugarHill Works!). In celebration of Black History Month and Women's History Month, this show also features work by Sandra Lee Jamison, Sheila Storm and Ingrid Sturgis. For gallery hours, contact info@azucareranyc.com. 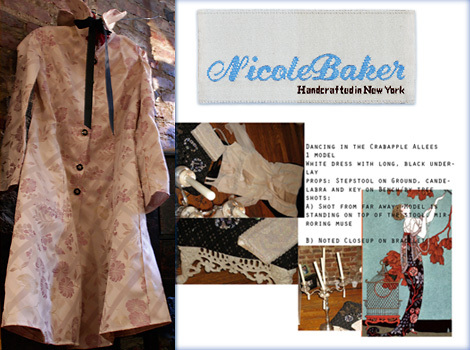 Nicole Baker's fashion designs, Handcrafted in New York, have been selected to debut at the Quarterly Art Soiree, where Webster Hall's multi-leveled caverns will be transformed into a gallery for a day. 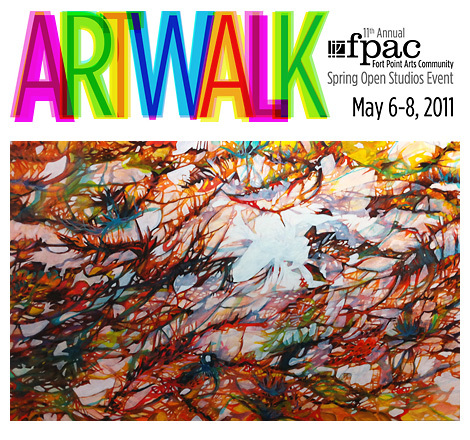 Established and emerging artists' work of all genres will be on exhibition beginning at 9am. A portion of proceeds from this inaugural event will go to Orphans International WorldWide. Custom orders may be placed following the show, or by contacting Nicole via her soon-to-be-launched custom website, thevisiontrain.com. $10-$15 at the door. See the Quarterly Art Soiree poster for more info. Rosedanie Cadet founded Helping Hands Noramise, a service program focused on rebuilding issues and sustainable development in Limbé, Haiti, as a response to the urgent need for sustainable food production and jobs. The Limbé Project will provide jobs, education, and community resources, with the goal of creating a micro-development model that multiple towns can apply to build interdependent and sustainable local industries in the region. Rosedanie moved from Haiti to Brooklyn as a little child. After traveling the world, she decided it was time to return to Haiti. Just one week after returning from a trip there, the earthquake hit, sparking even more urgency for her work. She quickly mobilized a network of volunteers to assist Helping Hands Noramise in starting work on the ground in Haiti. SugarHill Works is happy to help out by donating a website and web support, enabling Noramise to spread the word about the project and to accept donations online. Join us in supporting Helping Hands Noramise; your funds go directly to the local communities in Haiti and every donation helps! Visit noramise.org for more information, and please share the link to your friends. Erin Banta's upcoming photography exhibit, America: Themes and Dreams, opens this month in the same gallery space where we showed one of her images in the SugarHill Client Works group show last spring. We see this as a good sign! Erin is an artist working in traditional film photography and ceramics, and is also a master color printer. We've had the good fortune to work with her for several years, both in the darkroom and in the design and build of her new portfolio site. See more stunning photographs at the recently relaunched erinbanta.com. SugarHill Works is proud to help the grassroots organization Global Relief Now (GRN) by donating a website and web support. Through their new site, GRN is able to accept donations online to raise funds for disaster relief in Haiti, as well as provide information about their organization. Tan-ya met GRN co-founder Dion Wells in the cement bucket brigade while volunteering with a tsunami reconstruction project in Thailand in 2006. Dion had previously spent over 6 months doing disaster relief work in Thailand in the immediate aftermath of the 2004 tsunami on Phi Phi island. He was part of a team whose efforts earned them a Time Magazine Heroes of Asia award in 2005. Global Relief Now hopes to bring the same effectiveness to Haiti, with 100% of donations going directly to assisting Haitians with relief efforts. Please visit globalreliefnow.org for more information and to donate. P-Star Rising is an award-winning documentary directed by Gabriel Noble, produced by Marjan Tehrani and edited by David Abelson. The film tells the story of Priscilla Diaz, a 9-year-old hip-hop artist who came to fame performing in Harlem, with her single dad as her manager. After premiering at the 2009 Tribeca Film Festival, P-Star Rising has been on tour, winning awards at festivals around the world. The film returns to NYC with a screening at the Tribeca Cinemas Doc Series, and then will air on PBS Independent Lens on February 9th at 10pm. We worked with the film's editor, David Abelson, last year, designing a his new logo and business cards. 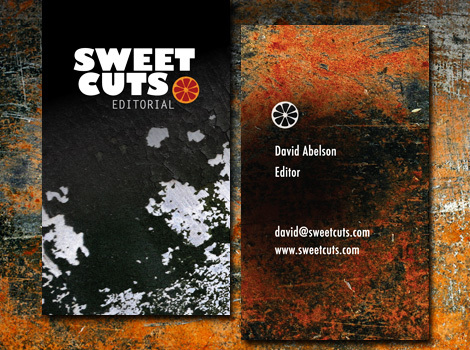 We had fun coming up with graphic ideas to go with the word play "sweet" + "cuts", and adding texture for a gritty analog style. The result was a balance of humor and straightforwardness, a lot like Dave himself. Join Dave and the crew afterwards for drinks at the Tribeca Cinemas bar. This upcoming exhibit at 92YTribeca features works from the Skowhegan School of Painting and Sculpture's 1999-2008 classes. Skowhegan is an intensive 9-week summer residency program for emerging visual artists. Heather Hart is an active artist working with installation and performance as a means of engaging viewers with her work. Her pieces often use humor and re-contextualization of objects to question social identities. Heather's custom portfolio website was one of SugarHill's first sites, and we still love it! We're glad that she uses the site as an online archive to upload photo documentation of her site-specific pieces and performances. A personal favorite is her Uzi Coozies installation. For more info, see the event page on Facebook. Site currently under development by SugarHill Works. Gelateria Classica is a new gelato café franchise, serving tasty Italian gelato, soon to be expanding into the US. Look for the flagship store opening in NYC in 2010! 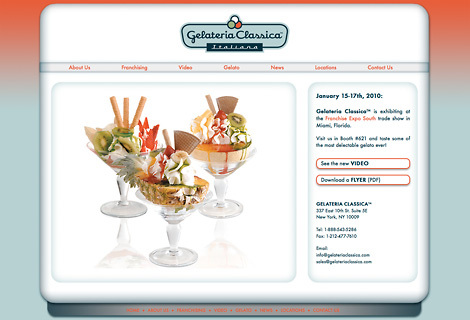 If you're wintering in Florida, head over to the Franchise Expo South trade show to check out the Gelateria Classica exhibit. Visit the friendly Italians in Booth #621 for samples of some of the most delectable gelato ever! Wedding Bump Ring, in gold, Plum Collection. Photo by Halle Hutcherson. We're excited to announce the New Years' launch of Plumstore, our latest custom portfolio site and online store! Plum by Nicole Rowars is a fresh collection of designer jewelry featuring unique pieces in precious metals. Nicole's designs are fashioned using yellow gold, white gold, rose gold, or silver, and accented with diamonds and semi-precious stones. Nicole collaborated closely with Tan-ya, our graphic designer extraordinaire, throughout the process of designing Plum's new logo, business card, and website. The site is designed around stunning photos of the jewelry taken by Halle Hutcherson. The textured metal backgrounds make a foundation for layers of translucent overlays. Plumstore.com features customized online shopping, making the Plum collection available for purchase beyond the metro area, just in time for Valentine's Day! 2010 will be our 4th year in business, and we're anticipating our best year yet! We recently celebrated SugarHill Works' official 3rd birthday by offering print specials. We've decided to extend this offer through the month of January! With SugarHill's reputation for top-quality scans, naturally our long-term plans include expanding our digital printing services. Now is a great time to try our giclée prints, with a 10% discount on 11x14 and 16x20 prints. Plus, you can order a free 8x10 test print with any scanning job! SugarHill Works was born a little over three years ago, when the four of us joined forces to start a creative company that emphasizes customized service and distinctive work. We're proud of what we do, and we're thrilled that your feedback shows what a difference some personal attention and extra effort can make! We look forward to planning more events like the SugarHill Client Works art show and growing our services in the years to come. We'd especially like to thank our clients, without whom this birthday, and many more, would not be possible. Since we started the SugarHill News page in April 2009, we've seen all kinds of outstanding art and noteworthy achievements! To browse the work of the many talented artists previously featured, visit our archived news page here. 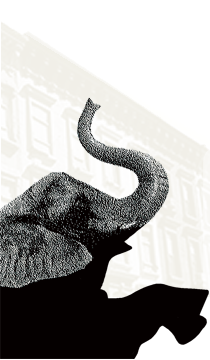 These images were created for the 2009 SugarHill Client Works art show, on the theme of "elephants & candy". Ciel Mahoney, Earthly Delights; Dan Weisser, Untitled; Tan-ya Gerrodette, Shark's Cove; Jenny Burgos, Sugar Packet.